Two decks. One Box. Springbok's double decks of playing cards feature beveled edges and the bold imagery Springbok is known for. 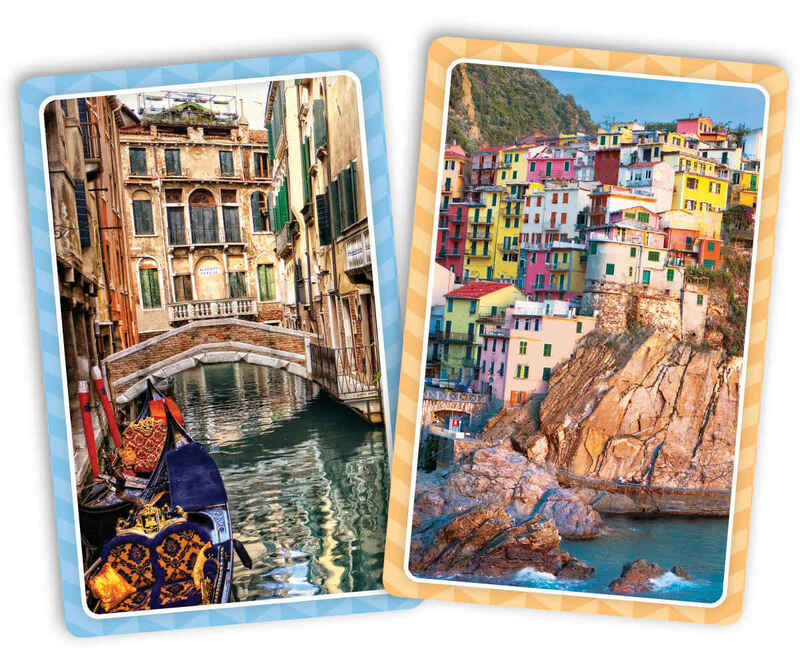 Go on a scenic gondola ride with our Italy playing cards. Card dimensions: 2 3/16" x 3 7/16". Box dimensions: 4 3/4" x3 3/4" x 1".